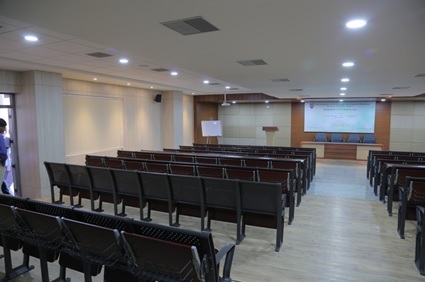 Fully air-conditioned Seminar halls are built-in with LCD Projectors, latest audio-visual aids and other multimedia tools. Every year, the new intake of students undergoes a week long orientation program in these halls. These halls are also used for conducting department meetings, Workshops and club activities.